Saddle up and head out across the private ranch lands of historic Haleakala Ranch, the largest working cattle ranch on Maui. With PONY EXPRESS TOURS, you’ll ride through towering eucalyptus forests and rolling green pasture lands and be rewarded by stunning ocean views. 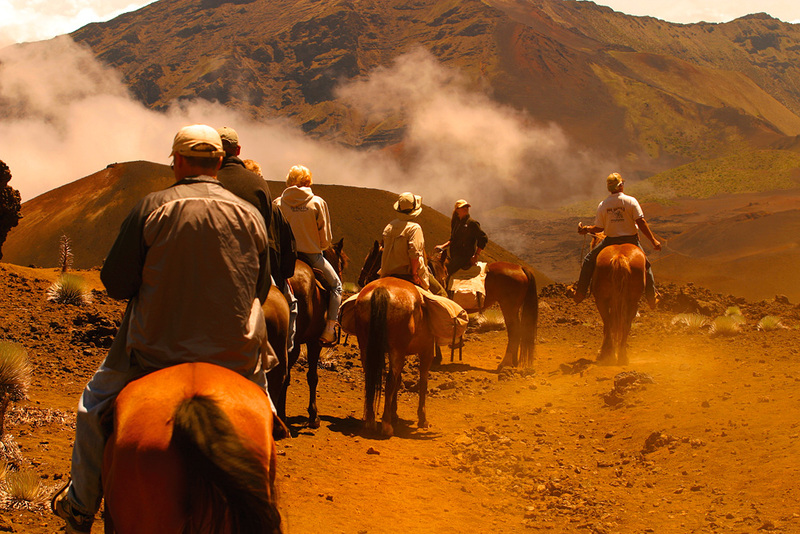 Or give new meaning to the word “awesome” and take a guided horseback ride into Haleakala Crater—a five-hour experience you’ll never forget!